The Bros rear spindle needs modifying to accept the VFR750 rear wheel. I machined mine down as the picture opposite. 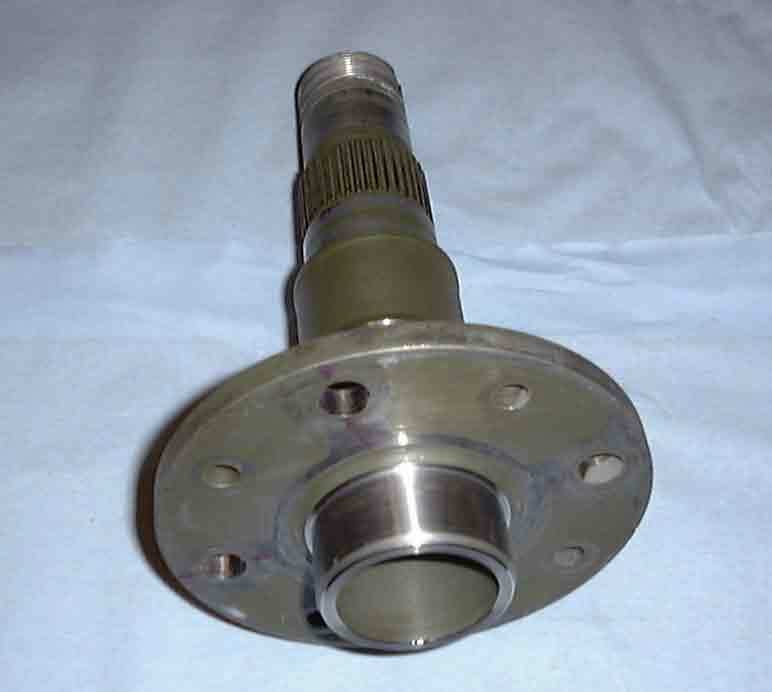 The spindle was shortened and turned down to 49.8mm dia to fit inside the VFR rearwheel and the 4 holes that normally had the locating pins for the Bros wheel were opened out to 12mm dia to accommodate the bolts for the VFR wheel fixing. Note: the spindle is as hard as hell and needs special tools to machine it !! My attention then turned to the swingarm which I decided to polish up. 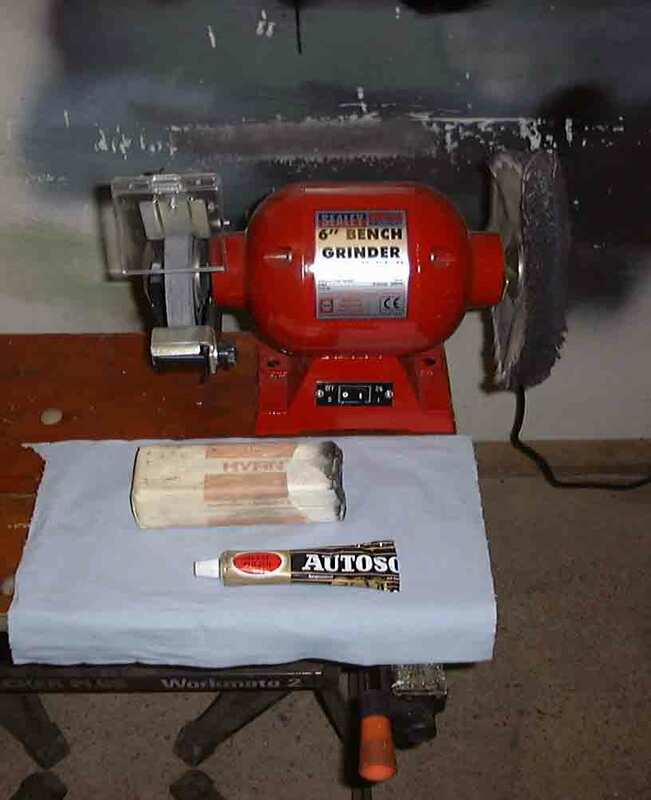 For this I used a flexible drive shaft and emery wheel attached to a pistol drill to smooth down the swing arm ready for polishing. I sat for nearly a day smoothing it down. To polish the swingarm I used a polishing mop on my bench grinder and with some polishing 'soap' and good old Autosol spent an evening polishing it to a nice mirror finish. The picture doesn't really do the finish justice as it appears to have some blemishes but that is the photo and not the finish.